The school had assembly to kick off our St. Vincent de Paul Food Drive. The Grade 5 students put together a powerpoint presentation and created skits to help student understand the role of the St. Vincent De Paul Society and to learn about how we can help. The students also listened to Mrs. Drake, a member of the society, speak about how and where the food is going. For 5 school days starting on Tuesday November 17th and ending on Monday November 23rd students are asked to bring in non-perishable foods to help fill Christmas baskets for needy families as well as to assist in stocking shelves for the months to come. During her talk, Mrs. Drake informed the students that they are overstocked with tuna, soup and Kraft Dinner. As a school we would like to focus on providing them with other food options. Since it is the Christmas season let’s help the people who receive this food experience that special holiday feeling. Please consider giving chocolates or candies, cookies, jams or other festive foods. As we did last year we will be adding a competition between grades to see which class can bring in the most items. For the class that brings in the most nonperishable food items they will win a non-uniform day and they will be allowed to watch a movie for their prize. 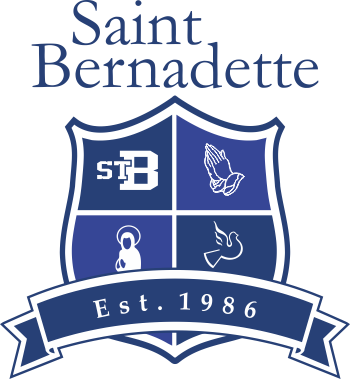 St. Bernadette School community has a great history of generosity. We thank you in advance for whatever you are able to give to this worthy cause.